We specialize in transmission repair for cars, trucks, RV's and 4x4's. Complete drive train, differential and transfer case repair for all Seattle communities. We also offer rebuilt transmission units and bench repairs for wholesale and fleet accounts. 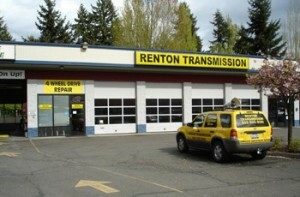 Renton Transmission provides full service transmission repair in Renton, Maplewood Heights, Coalfield, Elliot and communities surrounding Seattle. Complete automotive transmission repair specialists for automatic and standard drive trains.